Taste the outstanding Chinese dishes at the infamous P.F. Changs in Planet Hollywood. The high energy, fashionable setting offers an atmosphere highly conducive to the exquisite cuisine savored by the most skeptical connoisseur of fine Asian dining. Entrees served with light sauces to compliment the fresh ingredients are prepared in a unique family-style fashion. Sample lettuce wraps, dumplings, and noodle dishes galore, and be sure to save room for a delectable banana spring roll. Your appetite will definitely be satisfied at P.F. 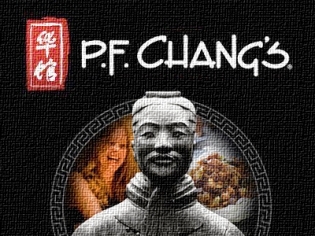 Changs, with no room to spare. Vegetarian dishes and a gluten-free menu are also available at this Las Vegas Chinese restaurant. You can even enjoy a prix fixe four-course feast for $44.95. Great food and service every time we go there. We went there for happy hour a couple of years ago and the offerings were great but cocktails were lacking. We returned in July and the food choices were not nearly as good and cocktails were still poor. Will not return.